James McArthur returns to the fold with a brace of soothing folk oddities, plucked warm from the underbelly of South London's acoustic circuit and re-materialised in recorded form as 'Lawn Order'. Following on from last year's 'Citizen Cained', McArthur continues on his path of witty understatements, echoing the likes Nick Drake and Iron and Wine from a perspective that's entirely his own, one that's at once grounded and fleeting, yet always profound. McArthur spent his formative days as a session drummer and guitarist for the likes of Paul Weller whilst writing his own material with his band The Head Gardeners. Nature is a theme pursued throughout much of his work, and this second single is no exception. 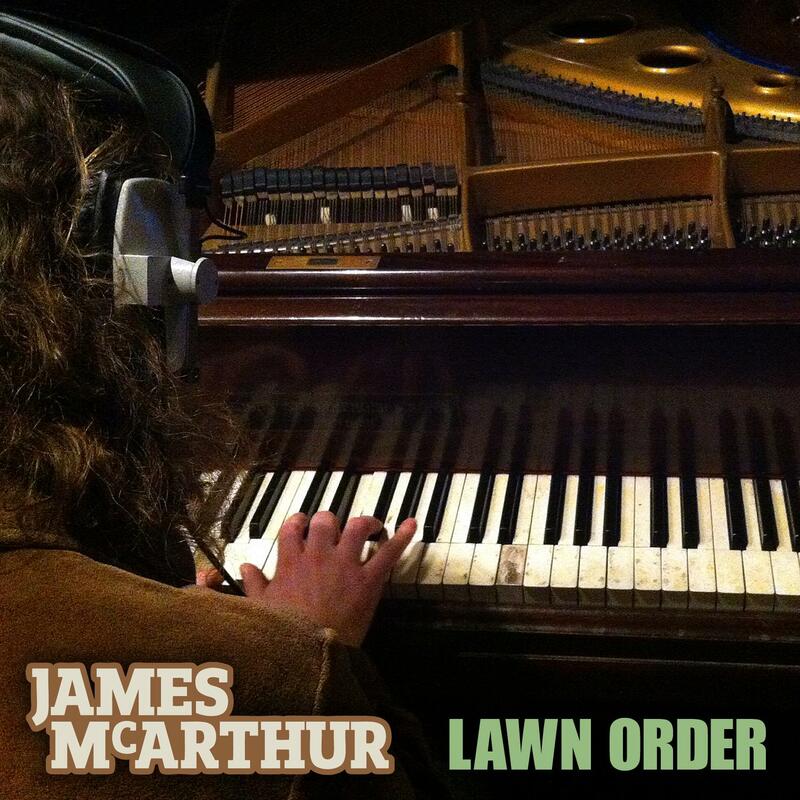 'Lawn Order' is a spritely spring-time jaunt, lead by McArthur's plucked guitar line & breathy, playful vocal. The whole thing is reinforced with yearning violin parts and a crisp drum track. Just perfect. 'Once Upon A Thought' is more contemplative, with a touch of melancholy. The violins come to the fore on this one, adding movement and flow around the plucked core and McArthur's unique lyrical whimsy. To complete the package we've got a pair of edits from Tythe and label head Chris Coco. Tythe's take on last years 'Roll Another' introduces Balearic atmospheres and sunny slide-guitar licks for the perfect accompaniment to a lazy pina colada by a palm tree. Chris Coco creates a 'Vocal Dub' of Citizen Cained', again from McArthur's previous single on the label. It's a bumpy, happy-go-lucky edit with subtle dub FX and hazy undertones. Available digitally Spring / Summer 2013.